…and on Sunday Ms Soapbox announced to her dad that she’d joined the NDP. He swears he’ll never speak to her again. While I applaud the efforts of progressive MLAs and party leaders to cooperate I fail to understand how Ms Blakeman’s decision gets the progressives anywhere. So if Ms Blakeman isn’t proposing a merger or a cooperation strategy, what is she proposing? Ms Blakeman says she’s taking a step, the first step, toward unifying progressive voters. Unfortunately that’s not the case. And Ms Blakeman would know this if she’d bothered to read the Alberta Party and Green party’s policies before she stepped off into the abyss. Even a quick read of the three parties’ policies reveals a shocking lack of alignment particularly in the case of the Alberta Party. If I’ve misread any party’s policies, please let me know. Democratic reform: the Liberals propose “instant run-off” elections (the voter picks his first, second and third choice candidates) where no candidate captures 50% of the vote. The Greens support proportional representation while the Alberta Party sticks to the status quo offering little more than platitudes requiring MLAs to listen to their constituents and not be top-down driven. Energy: The Liberals support oilsands expansion and pipeline construction on the condition that such activities are carried out under stricter environmental oversight. The Greens want a moratorium on oilsands activity until better environmental regulations are in place. The Alberta Party calls for balance between a robust energy industry and sustainable development, promising to develop policies that reflect the energy sector’s need for certainty, stability, the need to be competitive on a global scale and an “adequate” return on investment. The Alberta Party promises an energy future that safeguards Big Oil’s global competitiveness and guarantees an “adequate” return on investment. Aside from the obvious question—why is it Albertans’ responsibility to subsidize Big Oil in the lean years—the Alberta Party policy will obliterate the free market, or what’s left of it, by using the government to protect Big Oil’s profit margins. Welcome to the petrostate. Health: The Liberals and the Greens support publicly funded and publicly delivered healthcare. The Alberta Party supports publicly funded healthcare, but is curiously silent about whether healthcare should be publicly or privately delivered, saying only that the present system isn’t working and we need something better. When Ms Soapbox raised the issue of public versus private delivery of healthcare with Alberta Party leader Greg Clark he was noncommittal. Ms Blakeman is deeply concerned that the Conservatives will win 80 out of 87 ridings in the next election. She’s stepped up with a symbolic gesture to offer hope to progressive voters across the province. Unfortunately she’s created confusion. Instead of throwing her support behind the NDP who together with the Liberals could make a real difference in Alberta (they would have gained five additional seats had they worked together in 2012 and 2014) Ms Blakeman chose to represent two tiny parties. Given the lack of policy alignment among these parties Ms Blakeman is hamstrung when it comes to taking a clear position on the critical issues facing Albertans. She has only two options: make it up on the fly or say vote for me, I’m a shiny new consolidated party of one. Ms Blakeman wearing the AP logo? Ms Soapbox cannot support a Liberal who adopts PC Lite policies and leaves nothing but confusion in her wake. And while Ms Soapbox respects her Liberal and Green friends she is shifting her support to the party with an inspirational leader, Rachel Notley, clearly defined progressive policies and forward momentum. After the next election Ms Blakeman may be wearing Alberta Party blue, green and mustard yellow, but Ms Soapbox will be sporting NDP orange. This entry was posted in Alberta Health Care, Energy, Politics and Government and tagged Alberta Party, Green Party, Laurie Blakeman, Liberal Party, NDP, Progressive cooperation, Rachel Notley. Bookmark the permalink. I hope Ms. Soapbox can unite the NDP/Liberal campaigns/vote in Calgary-Elbow next time and give both Dirks and Clark a real good run for their money from left of centre. Thanks for the vote of confidence ABCanuck! Interesting post. There are ways to ask “How is this person going to reconcile these differences?” without suggesting Ms. Blakeman didn’t read the policies and is ignorant. Having watched Ms. Blakeman be the best opposition member to stand against the PC policies since she was first elected in 1997, it is also interesting to have her accused of embracing “PC lite” because she has entered what is effectively a non-competition agreement for her riding. Give that some thought. I am not sure why a commentator would feel Ms. Blakeman should join the NDP when her current affiliation has satisfied the voters of her riding through several elections and they have not chosen the NDP. If the NDP wish to mount a challenge and weaken Ms. Blakeman’s support, knowing they are unlikely to get enough to win but that they might get enough to split the vote and open the door to a PC – well, that’s not likely to do anything to advance the NDP agenda, is it? Removing the single, most effective proven voice of the centrists? The Liberals are in freefall after years of poor leadership from a Conservative. This is a time when their policies should be revisited. Ms. Blakeman has been pushing for change so the centrist voice can be heard. The NDP have refused to consider change, despite their continued failure to capture a significant number of seats. Why would someone who wants to see the cause move forward join a party that won’t cooperate with other centrist voices? In the 2014 provincial byelections, the Liberals were ahead of the NDP in 3 of the 4 ridings. The NDP in 2012 did not manage to make up the ground they lost in 2008 in terms of percentage of popular vote. Of course the Liberals lost support in 2012 – they chose the wrong leader. But if the 2014 byelections are an indication, they are still stronger in terms of overall support in Alberta than the NDP. That the two parties continue to refuse to cooperate on policy means the policies they both despise – the PC/WRP policies – will continue to dominate. You can’t blame Ms. Blakeman for doing what she can to change that. Well, actually, I guess you can – since that’s what you are doing. She’s a pioneer. It’s a brave move in a province that has been mired in the same dance for decades. You want the dance to continue – and where has that led? She wants to see if something else could happen. That’s where the Alberta Party’s chief strength lies: they want to get centrist voices to cooperate. As long as Liberals and NDP continue to support nothing but the same policy platforms that have failed them for the past 40+ years, they will continue to be largely irrelevant. Laurie Blakeman has made contributions well beyond her “weight”. She was the only politician Klein seemed to genuinely fear. She has pushed and pushed and pushed. Smart, determined and passionate. If anyone in the Liberal camp wants to switch to NDP because they don’t understand what Laurie Blakeman is doing, it might not be Ms. Blakeman who doesn’t have a full grasp of the situation. Fair point Timothy, I could have posed the question about reconciling irreconcilable policies more tactfully. And yes Laurie Blakeman is an effective and fearless MLA. I watched her stand up to Gene Zwazdesky when he refused to let the opposition speak. That’s why I’m having a hard time with her decision. I can see the alignment with the Greens, I don’t see it with the AP. Alignment comes with hard work. Many, many people involved with the Alberta Party have been working tirelessly to craft policies they can all agree on. Yes, there is still some vagueness there but that is an opportunity. By extending her hand to them, Laurie is saying she is willing to roll up her sleeves and help with that process. It’s too easy to stand back and criticize a work in progress or poke holes in a new idea. She is taking a risk in trying to bring a larger group of progressive voters together, which is what a lot of Albertans are asking for. The Liberals have been crafting policies a lot longer and she can bring her experience to the table. This is an incredibly brave and honourable thing to do. The NDP could learn a lot from Laurie’s initiative. Sadly, it seems unlikely they will. Jody, I was part of the AP energy policy group for well over a year. The group worked very hard to move the energy policy from one that worked well for industry to one that worked well for all Albertans, including industry. We were shut down and disbanded. When I reviewed the energy policy published on the AP website it became clear why. Perhaps Laurie will have more success. Welcome to the NDs, Susan. I’ve been a long-time fan of your blog and I always knew you belonged with us! Good on you! A gutsy move. You’re ok, Dad will talk to you. I remember telling him one Christmas that I had voted nationally for the late Jack Layton after years of voting liberal. I was ticked that Harper had called a second election so soon after the first. I did not have confidence in Ignatieff for the Liberals, I felt like Harper was talking to big business, and could care less about the average person. Jack Layton was the only one who talked about issues that concerned me, i.e. support and care for low income families and affordable daycare for single moms. Gutsy move. Two thumbs up. Welcome.to.the.NDPby joining the NDP, you have gained a wonderful leader in Rachael provincially and federally you a great leader in Tom Mulcair, who is both brillant and compassionate. Agreed. Both Rachel and Tom Mulcair are thoughtful and inspiring. Thanks Joanna. My decision upset a number of people, but they all need to remember that in a democracy every one of us has a choice and the right to exercise it. That’s what this is all about, right? Long time reader who’s enjoyed your perspective on publicly delivered health care. Welcome to the party of Tommy Douglas, Roy Romanow, and David Eggen. Seems like a good fit! The NDP has gained a great activist. And..I hope Dad comes around. Thanks Lou. Dad will come around, likely sooner than later. He loves a good political debate! Always an Interesting post, Susan. Maybe Laurie is actually listening to the electorate. There are a lot of us who see these distinctions as minor and can be resolved. Also, crunching the numbers, even in this upswing in progressive support, unwillingness to explore a creative option will keep potential progressive voters who want a reason to vote. Another angle: Are we satisfied to keep this debate going and remain a weak opposition or are we serious about creating the conditions to work together and dramatically increase our presence in the Legislature? Who is it we should be focused on? What is it we as progressive really want? And how can we get over our differences to connect with the power latent demand out there to ultimately lead this province and truly govern? Brian, you raise some very good questions. I’d like to ask another. Is the unwillingness to explore a creative option enough to keep progressive voters out of the polling station? If so, why? I understand that progressive voters are frustrated with the continual splitting of the vote, but why don’t they come out anyway to vote for the progressive candidate they like the best? Part of the problem is the lineage of the political brands. There has been a tendency to accept the role of opposition as the highest possible accomplishment. Supporters would like to see something fresh and innovative, and likely a new brand. However, there is still the proof required that the anything new has to be something that can lead a charge and have the potential to govern (and all the necessary infrastructure to match, including fundraising). Voters are also seeking a winning condition to shift belief and be part of a story that their reason to vote made a difference. Brian, interesting points, particularly the comment that “there is still the proof required that the anything new has to be something that can lead a charge and have the potential to govern”. You mentioned fundraising. It’s almost a chicken and egg argument, you’ll get the funds when you demonstrate you can deliver the goods, but in order to deliver the goods you need to get the funds. Your comment that voters are seeking a “winning condition” intrigues me. I would hope that the abrupt economic downturn which is exacerbated by the PC government’s failure to implement a fiscal structure that would cushion the blow would be such a condition, but I’m not sure. Sometimes (often times?) economic uncertainty makes people cleave to the party they know rather than risk it all on a newbie. Laurie Blakeman’s throwing her hat in the ring with a mixed selection of everybody-but-the-NDP looks to me like an Alberta iteration of third way politics. This is, of course, not actually a way to build the left but to co-opt and undermine it. In places where the left is going to win big anyway, it’s a good way to defang those wins. In places where the left is not likely to win big — cough cough like Alberta cough cough — it’s naive at best, taking the rhetoric of third way politics at its word and misunderstanding its reality. You got it, Kathleen! I was beginning to think most folks thought I was just old-fashioned by saying policy- and years of trying very hard, at least, to walk the talk – needs to inform political and public policy and voting decisions [the end doesn’t justify the means? Or, what you sees is what you get?]. I wonder about all this stuff about the NDP not being popular enough to win being an excuse not to make a commitment. Or is it simply a fear based on – what? Making a commitment? I just do not understand. People are politically passive because they have kind of given up on the system. That’s certainly true — more true — in the United States where Congress has a nine per cent approval rating. Only 38 per cent of the population even bothers to cast a ballot anymore. I think the other thing is that they don’t quite understand how incredibly dangerous handing any government this kind of power is. It really is so scary (couldn’t embed below, so am doing so here). Carol. Another comment I’ve heard about the NDP is that they’ll never form government because they’re content to be the opposition. This makes absolutely no sense. One need only look at how hard Rachel is working in Calgary and across the province to get as many candidates elected as possible. That’s not the work of someone who is content to sit on the opposition side of the aisle. Kathleen, thanks for providing the Third Way political model as a “frame” for this discussion. I haven’t read much about the Third Way per se although now that you’ve raised it, I can recognize this model underlying the writings of people like Chris Hedges, Sheldon Wolin, etc. According to google the Third Way is “a synthesis of right-wing economic and left-wing social policies.” It fits. Brian, I think Susan said it before in another post. Why not make things simple, both in course of action, and message to the electorate? By policy and performance, the NDP are the clearest example of an alternative to PC government, have a leader, have money coming in, and momentum among voters. If the “unite the progressives” movement is as “post-partisan” as it claims to be, why not jump on the good ship NDP and start rowing together? There maybe a good argument for that. But as someone who does work on brands, the individual Alberta Liberal and NDP brands have ceilings on their appeal and traction, and each are unlikely a winning brands in Alberta anymore. If the NDP were able to rebrand and open dialogue on policy platform, that may stand a chance. As it is, this is something that best requires a staged approach, and the public are looking for initial collaboration before moving everyone under one umbrella. Saying who’s better than the other is an argument that no longer washes with the public. A demonstration of trust is the first step the public are seeking, and the rest could likely be sorted out from there. At this point I think it’s Dad’s friends who are upsetting his golf game, pinning his ears back with cracks about his “socialist” daughter causing a ruckus again! I KNEW I made the right decision to join the NDP! Now that someone as smart and inspiring as Ms. Soapbox has “outed” herself as a supporter I feel fully vindicated. Thanks Rick. Based on these comments I find myself in delightful company! LeBoth the Federal and Alberta NDP only want to be the official opposition. They don’t actually want to govern. It all started when Trudeau offered the NDP cabinet position in Trudeau’s last majority government in 1980. They refused. And now this whining about Blakeman. The NDP would sooner have a con gov’t than a progressive gov’t of several parties, as long as they get to be the moral high ground official opposition. So do the PC’s all agree on everything within their own party? Do the members the NDP agree on everything? The PC’s agree enough. The differences you are pointing out are the ones on paper. Are these parties so different in practice? And if they are, are they too different to work together? And wouldn’t that be a step in the right direction? Or is just opposing the PC’s the right direction? Good for Blakeman. The NDP should jump on board. And this should be province wide. Even giving the PC’s a minority would be the perfect step. Remember Cullen’s plan? You know, the guy who started in 8th place, and then finished 3rd to lead the fed NDP? His Dudeness, the policy question is the right place to start. When the Liberals selected David Swann as their interim leader, David said he wasn’t opposed to cooperation or even merger but such decisions required the support of the membership and a review of the policies of both parties to ensure there weren’t any busts. Laurie jumped the gun (no doubt with the best of intentions). And while the three parties that nominated her agree on social policy, I don’t see how she’s going to address the diametrically opposed positions embedded in their respective energy policies. The AP policy of ensuring Big Oil gets an “adequate” return on investment (profit) leads to reduced royalties and increased tax credits and subsidies when oil prices drop. This takes revenue out of social programs like public education and healthcare. I can’t think of a single Liberal MLA who would support that trade-off. The above quote was discussing Moses and the exodus of the Hebrew people from Egypt a while back. In our European – Colonized society here in Alberta power is now in empirical terms as described by Chris Hedges in many of his recent writings. The petro state fascist partnership is losing its hold on the citizens. This spurs the need for an “out of law” election for consolidation of ideological positioning to oppress the slaves a little harder and raise the efficiency of brick making. Susan your choice shows leadership qualities in recognizing fundamental values and principles of an open and caring democracy. For those who want power – all too often succumb into the “Empire thinking clutches” which 43 years in power where citizens are not heard. Nor will they be heard until people with the ears and heart to hear begin to speak truth to power. Your analysis of the continuing subsidization of the carbon / petro corporation is accurate. Long time false narratives perpetuate the “anti – social – common wealth of a caring society” are constant themes in the political rhetoric of our time. As the people awaken to paternalistic bullying and cajoling they can see clearly there is a vision where life in abundance and care for the weakest, the sick and the imprisoned is critical to conscious living with purpose and clarity becomes possible and even desirable as a vision for living fully. Continue to use your gifts of discernment, critical analysis, and informed decision making to help all of us journey to the promised land. May Albertans become an example of wisdom and grace offering hope to the next generations whom we have borrowed too much from their future already. Thank you for your courage and thinking. Thanks for the support holycow and the wonderful Brueggemann quote. The impact of the “numbed and dumb empire” in Alberta can’t be overstated. When Jim Prentice says the downturn will be serious but Albertans are “resilient” and will get through this what he’s really saying is that corporations are resilient and will get through this. We witness the results of their resiliency every day–people are thrown out of work in massive lay-offs, hiring freezes impact the quality of care in hospitals and nursing homes, children are expected to learn in increasingly crowded and understaffed classrooms, and post secondary institutions drop humanities courses (where people learn to question and challenge what they’re told) to make room for more skills training to keep the machines of industry operating. It’s a depressing situation but one that Chris Hedges and others (you) says we must challenge. In The Death of the Liberal Class Hedges quotes Augustine as saying hope has two beautiful daughters, anger and courage–anger at the way things are and courage to change them. Joel, you’re right, there are progressive people in every party and a great many of them don’t understand why the NDs won’t cooperate. This question perplexed me too until the Liberals met a few weeks ago to appoint an interim leader and Laurie presented herself as a candidate on the condition that she be allowed to pursue cooperation/merger talks with the Alberta Party. That’s when it hit home. A decision of such magnitude must be taken to the membership. It can’t be decided by the executive or the board. I don’t think people who fault the NDs for rejecting cooperation/merger proposals understand that they’re simply exercising their democratic right to determine the future of their party. Or to put it another way…I’m pretty sure the Alberta Party members would want an opportunity to vote on a proposal to merge with the NDs or cooperate with the PCs before their board decided to go for it. I have enjoyed your writing, Susan. Excellent choice – – to join a real progressive party! Congratulations! Kudos to you for standing up for your progressive views in spite of family pressures! Thanks Sylvia! Oh and the family is getting kind of used to this by now! Wow, what a courageous move especially in corporate Calgary, congratulations! I have always held Laurie Blakeman in high regard so I want to believe that she did what she did out of desperation to get people thinking and acting on a coalition of progressives. While I share your reservations regarding the Alberta Party, the two of you have certainly empowered a lot of people to take a stand against the petrostate. Never mind Dad, I think I am going to have to start looking for a new circle of friends! Thanks Neil. Quite a few of my friends in corporate Calgary suspected that I was heading in this direction and may well come with me. Cool, eh? Susan – I think it’s fair to say that all parties continue to disappoint on that file (with the possible exception of Janet Keeping and the Green Party). And this is all the more reason for progressives to join forces. As the Pembina Institute said about the parties at the time: “None of them have put forward a comprehensive plan that would actually be up to the challenge that we’re faced with right now, he said. Jody, thanks for the link. I think Leach nailed it when he said that in 2012 the party leaders were reluctant to dive into energy issues because of the “third-rail effect”, namely the ghosts of the royalty review and NEP. He said the PCs and WRs were in virtual agreement and the NDs proposed tweaking of the royalty regime to support bitumen upgrading in the province. I agree that any party offering candidates in the 2015 election must be ready to address these issues, but whether this is a reason to join forces is dependent on their respective energy policies. Like I said earlier the AP have a policy in favour of adequate return on investment. The NDs favour some form of upgrading in the province. These two policies are mutually exclusive given that the oilsands producers are primarily global players who manage their balance sheets on a global basis, they prefer to ship raw bitumen to existing refineries on the US Gulf Coast rather than forking over the capital to construct refineries and upgraders here. Susan, I hope that you are aware that membership in the NDP requires you to abandon all support for cooperation with other progressive parties as opposed to simply swooping all of their members and supporters into the NDP. I was denied membership in the NDP in 2012 for my Change Alberta work in the last election, work that you supported at the time. I had been a member of the party from 1969 to 2010. At my appeal of the party executive director’s decision to deny me membership–at a provincial council meeting where I had to defend myself BEFORE the “charges” were read, and had no opportunity at that point to defend myself–Rachel Notley asked me, “Alvin, can you guarantee that in the next election, Change Alberta will only endorse NDP candidates?” In short, would I try to turn a non-partisan organization into an NDP front? The NDP unfortunately is neither new or democratic. It’s only a party and rather fortress-like in its thinking. While I would be very happy nonetheless to see the NDP absorb all progressive voters, as happened in Manitoba in 1969 and Saskatchewan under the CCF in 1944, I’m quite sure that left-leaning Albertans have no desire to all unify under the banner of one party. The NDP is no longer a socialist party; in fact, its economic policies have more than a faint touch of neo-liberalism and anti-Keynesianism. But many Albertans are not exactly political sophisticates and they think of it as socialist or communist. While I am anti-capitalist, I realize that few of my fellow Albertans think that way. We are not going to change government in this province and adopt even a smidgeon of social and environmental justice policies until the parties to the left of the Tories manage to figure out ways to coalesce around a minimum platform and to insure Albertans that they will not end up with a socialist state (which, of course, even a majority NDP government will not give them as it has not given any other province). We’re going to run a changealberta campaign again in 2015 and yes, if the Alberta Party appears to be ahead of the NDP, Liberals, and Greens in a riding, we will endorse them. You and your supporters were responsible for electing Gordon Dirks in the by-election where you must have figured out early on that you lacked significant support compared to Greg Clark. I don’t see how that moves progressive forces forward in Alberta. This is also the problem I have with the NDP in Alberta. As I said before, Bryan Mason did a great job but the party was stuck in the 1930s. I am surprised it is still the same with Rachel Notley. Hard to believe that you had to through a kind of interview to justify what you were doing. I personally would not have given them that kind of opportunity. That sounds like more than fortress like. With that kind of mentality I would not feel comfortable having them in government. Alvin you mentioned that you are going to run a changeAlberta campaign and that you would support the Alberta Party if they were ahead of the other parties. Why would you do that when we know that the AP is a PC in the making? It seems to me to be a great waste of time to replace the PCs with the pcs. It only takes one year in power for the pcs to become PCs. Once the money starts flowing from the biggies, it will all be done. Interesting how folks at a meeting come away with different recollections of what was said, not said, done… and how then it becomes Urban Myth, forever to be seen as received wisdom, by folks who weren’t there.. We’ve talked about this before, I won’t repeat, but just encourage some critical thinking. I am not sure if you are referring to my note but it seems to be. I was never there and never said I did. I was just commenting on what Alvin was saying in is comment. I am for more than critical thinking and when I fail to do that and say something silly I apologize which is more than most. So I am not sure what you mean. Carlos, your comment about supporting the AP is a good one. If changeAlberta takes on the responsibility of identifying the “progressive” candidate who is ahead of the rest then changeAlberta owes it to the voters to ensure that every candidate it recommends does indeed represent a “progressive” party. It would be a crying shame to replace the PCs with the pcs. Also I think Carol was talking to Alvin about the meeting. For some reason the comments pop up in strange places even when you hit the “reply” link…it’s a wordpress thing. Alvin, given that I wasn’t involved in any of your discussions with the NDP I really can’t respond to that part of your comment. With respect to the latter part of your comment, the reason I ran for the Liberals in the 2014 by-election is that we figured we had the support we needed to mount a serious challenge to Gord Dirks. It turned out we were mistaken. Carlos, I was not criticizing you; just observing again that one’s reflections of an event very much depend on one’s vested interests and other human and situational factors. That’s all fair enough, and we just have to remember that;. What concerns me is subsequent assumptions, which may not be identified as a specific view, finding their way into conventional wisdom and being accepted as the whole truth. I understand Alvin’s view of what happened; but there was also other evidence at the meeting. What is clear is that Alvin continues to criticize the NDP, which is fair enough, but I don’t accept that he should continue to hold “the NDP” – which is a group of persons and a history and a set of values – responsible for the world’s ills and for thwarting his objectives. Alvin, you don’t approve of us, and sometimes neither do I, but what we do about that is very different. I would like to see some positive basis for your views instead of a stream of criticism about others. After forty some years, Alberta desperately needs a new government. A movement/brand that unites progressives from across current parties can accomplish this. Making this happen requires focussing on what unites us, collaboration, and leadership. Your post appears to be a reinforcement of everything that keeps like-voters voting for multiple different parties in Alberta, and paves the way for many more years of the Tory dynasty. I understand your motivation/justification, but ultimately, this thinking (focusing on differences, innablity to build broader coalitions, trying to impose one brand over another) makes Alberta weaker. I’m not sure if I love the approach that Laurie is taking, but I respect the heck out of the fact that she is trying to unite, not divide – it is the only way the centre left can work towards froming a government. Cory, sometimes the things that divide us are small and shouldn’t be our focus, but sometimes they’re significant and can’t be overlooked. I am unable to reconcile the differences in the energy policies of the AP, the Liberals and the Greens. And I don’t know how Laurie Blakeman will either. But I agree with your last point, I’m sure Laurie has taken this step in an effort to rid us of the PCs and while I disagree with how she’s trying to achieve this goal she deserves credit for trying. March 15th, drive downtown. A Sunday fundraiser for Laurie Blakeman, MLA for Edmonton-Centre, an area that covers fascinating communities of old and new urbanites. Laurie has a background in fine arts and theatre. That tells me something about people capable of making daring moves in thought and action. Susan, not unlike the bold move you made. That is what’s needed to change government. Back to my story, Laurie is a battle-hardened politician with a commendable record of achievement. Policies are policies, and I know the difference between functional and dysfunctional policy making. But policies have to be driven by values. Edmonton-Centre’s MLA has values. I not only listened to Laurie, but observed an intelligent and eclectic group of people in attendance. Support was shown for Laurie from many different directions (including from a brave Separate School Board trustee). I sensed strong contemporary skill, experience and vibrancy on the part of the riding association and support cast. The riding is in good hands. Great observation. Shifting paradigms is an art and heart maneuver that happens in well planned – instigated actions. Baldwin, thanks for this. We’ve known each other for a long time and I respect your views. As I said to Cory, I’m sure Laurie has taken this step in an effort to move the progressives forward and rid us, once and for all, of the PC government that’s convinced Albertans that to vote anything by PC is economic suicide. And here we are with a busted economy, massive layoffs and crumbling schools and hospitals. Kind of ironic isn’t it. Susan, even when you ran for the Liberals I knew you had a warm, zesty orange core! The writing is on the wall for ALL the Power Corp. rep. parties, regardless of the immeasurable wealth and power they employ to “sell” themselves to Canadians/Albertans. Thanks GoinFawr…”warm, zesty orange core” sounds wonderful, doesn’t it! . Agreed, the writing is on the wall and the conservatives and their corporate friends know it. They’re going to fight very hard to maintain the status quo. Interesting times ahead! Great post. Policies do matter. As an Albertan I am so tired of hearing about these “big tent” political parties. I want a political party that stands for something. Let me know your policies so I can make a decision about whether I want to support you or not. Right now in Alberta the only party I can figure out is the NDP. Others, particularly AP, all over the place. Thanks Carol. This push for a “big tent” party which is all things to all people results in blanket statements (like the one I found on the strongertogether website) which says the “policies and values” of the Liberals and the Alberta Party are “almost identical”. I would dearly love someone to walk me through how the Alberta Party energy policy which provides the energy industry with an “adequate” return on investment is “almost identical” to any policy the Liberal party proposes. The only way to provide an “adequate” return on investment in years when oil prices drop is to reduce royalties, increase tax breaks and subsidies, and stop imposing hefty fines on companies that violate environmental regulations; raising corporate taxes is also a no go. This reduces the revenue available to support health, education, post secondary education and elder care. The Liberals would be the first to tell you that we can’t tie our ability to deliver social services to oil prices, and yet that’s exactly what the Alberta Party policy does. Sorry to see you go, Susan!! While there are things and people in the Liberal echelons that often cause me angst, I remind myself that Canadians are living in the ‘house that Jack built’. Jack Layton voted against the children’s programs of Ken Dryden and Martin’s Kelowna Accord and Kyoto Accord advancements. Layton’s unprincipled choice in voting out a fiscally responsible centrist minority government did give him the grab for power and a path into the House of Commons but his was the move that ultimately supported conservative success.. Layton’s move was later reinforced by Ignatieff;s hesitation to stand up to Harper and vote out a minority government. Mulcair has had one western MP from Alberta for the last two terms (elected with the assistance and support of many ‘Liberals for LInda’). Mulcair has chosen not to give any significant profile to Linda Duncan. Her most recent campaign launch was a non-event shortly after the ND Summer Caucus had met right here in Edmonton! Would this be because the NDs have a strong anti-oilsands position on resource management and climate change? I will mourn our loss as Liberals wave ‘good-bye’ to one of the very best! ….. I will still be watching your blog and wish you well! You have been a jewel … lucky NDs!! I find myself in agreement with your blogs, Susan, almost all the time. While I understand and respect your decision to join the NDP, I can not agree with your criticism of Laurie Blakeman’s decision. We both know how party policies are developed, and in the final analysis, the words on the paper are only that. Policies are developed by a small group of people, and in comparison to the population of Alberta, passed by a very small proportion. The progressive parties have a common base of values and beliefs, just as the right winged Cons have commonalities in their consumption of the the Wildrose. Blakeman’s action challenges the notion of difference between the parties and I am thankful for that. Albertan’s either do not understand the progressive political party distinctions or perhaps do not care. We must begin to work together, including the NDP. Frank fair comment re: Laurie challenging the notion of differences between the parties, however I need to respectfully disagree with your comment that policies are merely words on a page. In my experience the words are carefully chosen by the small group after months of intense discussion and debate. The words form policies that are presented to the membership for adoption (or not). Policies inform the public how a political party will respond to the challenge of providing social services, caring for the environment and encouraging economic growth. Policies are the only way voters can hold the government or the opposition accountable. For example the PC’s statement of principles (I can’t find their policies for some reason) says their “fiscal and economic objectives include: a diversified economy that will provide for maximum employment and fiscal planning that will protect priority programs while minimizing taxation.” Even that skimpy proclamation of principle reflects a promise to protect priority programs. It would be safe to say that the PC’s lack of “fiscal planning” is endangering the “priority programs” of education, healthcare and elder care. I whole heartedly agree with Carol’s comment that policies matter and that parties have to stand for something, because it really is impossible to stand for everything. (And Frank I’m not saying you said that, I’m just elaborating on my position). I am a bit divided on this one. I fully understand Laurie’s move but without the NDP any move in Alberta is irrelevant. Most Albertans do not even know who Laurie Blakeman is, never mind the political fact that she decided to get together with The Greens and the AP to avoid vote splitting. From my experience, after decades of a non-existent robust political system and a very poor democratic experience, people just are not connected to most of the events we political nuts follow daily. I do not blame them. I have two adult kids and I can easily understand why they are so different from my generation. Believe me, there are many people in Alberta who do not even know who the premier is, and I am not talking about new immigrants. We have a big job ahead of us and in the case of Alberta where we are stuck with an impossible alliance between the two main progressive parties, the only option will be a change to Proportional Representation, which in itself is a major task because all parties are in for the kill. They want the top job and freedom to impose their ideology no matter what. Most believe that without majorities politics are not possible which is the same as admitting that democracy does not work. Many do not know that there are many countries that have never been governed with majorities, one that comes to mind is Israel. Carlos, you’re bang on. All of the maneuvering on the edges won’t make an iota of difference if the Liberals and the NDP don’t find a solution. So here’s what I’m wondering about. This is Laurie’s second attempt to unite the progressives. She made the first attempt when she stood for interim leader on the condition that she be allowed to pursue cooperation and eventual merger with the Alberta Party. She circulated a document that made it clear that at the end of the process the Liberal Party would likely disappear into the Alberta Party. If Liberals like Laurie and those who support her are prepared to become Alberta Party members, why aren’t those same Liberals prepared to join the NDP. It has four sitting MLAs the AP has none, it raised six times more money than the Alberta Party in 2014 ($732,982 compared to $121,960) and as far as I can tell, it has more members than the Alberta Party. Are the Liberal’s policies and the NDP policies that different? By the way the NDP support proportional representation, which I agree is really the best way to ensure democracy is working. Susan the fact that Laurie Blakeman was or is willing to become the Alberta party to me is an absurd. 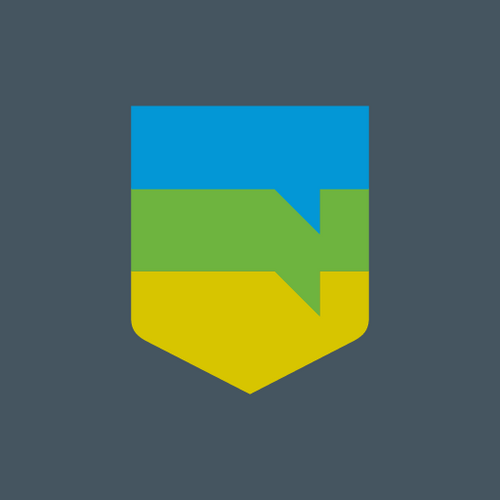 The Alberta party is a young organization without any traditional core, without clear policies….etc. It amazes me that a person that has represented the Liberal party so well would even consider doing such an idiotic move. It is crazy. Unless I am missing something someone can explain to me, I think Laurie lost her marbles somewhere. On the issue of Proportional Representation, I have no doubts that it is fundamental for the future of our democracy. I know that the NDP supports it but it has been a support that does not convince me it is real. It seems like a support to get people’s attention they are doing something different. I have never seen a person from the NDP, federal or provincial to come out and support it with passion which is what it should be because without it Canada will slide further and further into democratic paralysis and oblivion. It is already way into that path. People may not notice but some of the policies implemented by Stephen Harper would have failed in a more diverse political House. For one, the Green Party which got 7% of the votes, would have 21 seats instead of one. The dynamics in the house is way different than when only Elizabeth May has to make the noise for the other 20 that are missing and their seats occupied mostly by conservatives. This is true for all parties. Carlos, I’m with you re: your comments about Laurie’s decision. Your point about proportional representation and needing to hear it supported with more vigor by the NDP makes sense. And yes, the dynamics of Parliament would be so much better if proportional representation could give us the number of MPs that the people want, not the first past the post system provides. I also meant to tell you that I think that despite the fact that leaving some of your Liberal friends is not an easy task, I personally think that if you were to stay you would be very much out of your confort zone. From what I have read from you, it is clear that you are definitely a person of what we call the left with strong progressive ideas. I personally do not care much about these divisions of left and right but when one is in political life, there is not much of a choice. I would be very happy to know from you, how you feel there. I have not been able to figure out how to enjoy life in the political system here in Alberta and for that reason alone I have stayed in the margins. When I was younger and with lots of energy, I did not have the time to be involved in it. I do not like campaings and knocking at doors and that is 90% of political life in North America. After the elections we do not even know parties exist. It is quite different than for instance in Europe where parties with the help of government funds have a year round life about their ideas and the people that slowly build their careers in it. I enjoyed the discussions and conferences with members of all European parties that came around for exchange of ideas. Here many people think that politics is like a hobby that one cannot get too used to. I totally disagree with that and no one should be telling a person that enjoys political/social issues when to get out or when to go to the private sector to then be a lobbyist and make lots of money which to me is a conflict of interest. It is actually that transition that I think it is wrong and should be allowed with limits. I have a limited experience in Europe because I was there only 3 years but there is not doubt whatsoever that the systems are very different. I have not been able to adapt to this system. I tried with the Alberta party but it very quickly became apparent that the process was not going to last and many people just did not know what to do with it other than finding too organized ways of somehow limiting the discussions. I call it the template mentality. Eveything has to have a process and it ends up sounding like an interview in commercial radio stations where time is so limited that the opinions of the guests get lost in the middle of very agressive hosts and commercials. I wish you the best in your stay with the NDP. Rachel Notley is a good leader and I hope she does very well. Albertans definitely need more diversity of representation in the Legislature. We are different (not in a good way) from other provinces who have more balance in their political parties and even experience a change in government from time to time. A one party system is not healthy, and is not compatible with a just and democratic society. Because we are stuck in this perpetual “Groundhog Day” of PC-won elections and government, people try to think outside the box- and I think Laurie Blakeman was trying to do that. I have nothing but respect for her hard work in the Legislature, and outside of it as well. I “get” the concept of coalition/co-operation/collaboration among some of the opposition parties and understand what is driving it. I am looking for the commonalities between these opposition parties, and yes, sometimes I hear them saying the same thing. However, sometimes there are voids in their policies, and I think people project what they would like to think they stand for. Then there are the downright contradictions in policy or philosophy that don’t seem insignificant to me. Maybe there is a way- some countries seem to manage with different parties working out their differences and presenting a united front in government. Nonetheless, I can see why you are endorsing Rachel Notley and the New Democratic Party. They seem to be true and consistent when other politicians are shape-shifters, going wherever there is political advantage for themselves. Maybe I am being naive, or asking too much, but it is important to me to get a clear, simple message from people who want my vote. 1. Do you support the further privatization of healthcare in Alberta, and if so why? 2. Do you support publicly funded private schools, and if so why? 3. What are your views on the role of post secondary institutions? This is the learn for the sake of learning issue. 4. Would you change our fiscal structure (sources of revenue vs anticipated costs of services), if not why not and if so how? 5. What’s your position on the expansion of the oilsands? And of course in Laurie’s case I’d ask her to explain what an “adequate” return on investment for energy companies means–how she’d define “adequate”, is an “adequate” ROI the same number (say a utility return of 9%) for all energy companies, (oil, natural gas, coal), global companies and junior start ups, or is it a different number depending on the type of company, its size, etc? And finally I’d ask her what actions she’d take to “correct” an ROI that falls below “adequate”–does this mean revenue dollars that would have been available for social programs are diverted back to the energy industry in the form of greater subsidies, tax credits and royalty cuts. Hi Susan! I’m late to the party on this but I do want to extend my own welcome to the NDP, a party I have called home for 20 years, my entire adult life. I have often thought that you share our values and so I am glad you are here. Don’t listen to people like Alvin Finkel. He tries to tell you “you” were responsible for Gordon Dirks – nope, sorry, the *voters* are responsible for him. They elected him! As if you should feel poorly about that. You ran a campaign, the other parties ran campaigns, and the first-past-the-post system worked its usual disappointing magic. Me, I’m not overly interested in hectoring effective and articulate women in politics about what campaigns they should and should not run. If you took Alvin’s advice – what – you and Stephanie would have ceded the floor to Greg Clark? Right. Do you see that? It’s my thumbs and index fingers making a big W for WHATEVAH. Indeed, it was Alvin’s group of men that approached me in 2011-12, discouraging me from running a vigorous campaign in Lethbridge West in the last election. In their view the riding was the rightful property of the Liberals, who ended up achieving 5% support to my 30% in 2012. That’s the kind of silly thing that happens when you try to do backroom schemes instead of working hard, talking to voters, and recruiting good candidates who are able to articulate consistent (and costed) principles and values. So welcome to a party where we’re pretty dedicated to doing the latter. I’m very pleased you are part of our party and I am happy to extend an invitation to come down and visit the Lethbridge West campaign any time during this election. We are mounting a spirited campaign and we are looking forward to finding that remaining 5% that we were shy in 2012. We’re doing it by talking to voters, not to each other on twitter. Shannon, thank you for the lovely welcome! I’ve seen you speak on a number of occasions, including a panel with David Swann on healthcare, and found you to be thoughtful, articulate and inspiring. Lethbridge will be blessed with a formidable MLA when you’re elected. I’ll try to get down there to help out if I can. All the very best to you and your team!